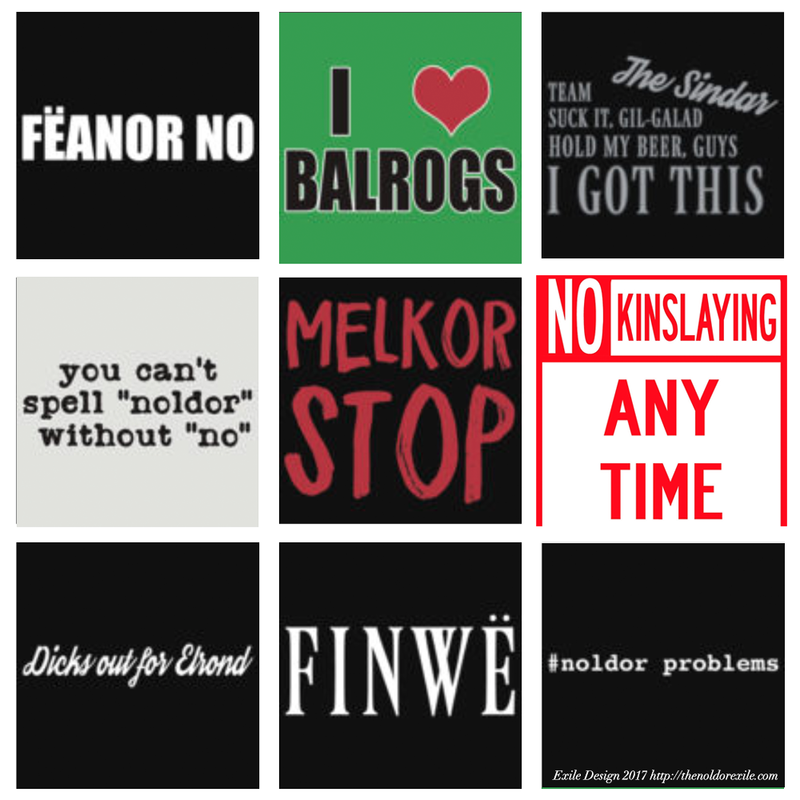 I’m a little underemployed so I made a bunch of kinslaying jokes and graphic design-ey Star of Fëanor stuff and it is now available for purchase at my redbubble store! Go have a look. 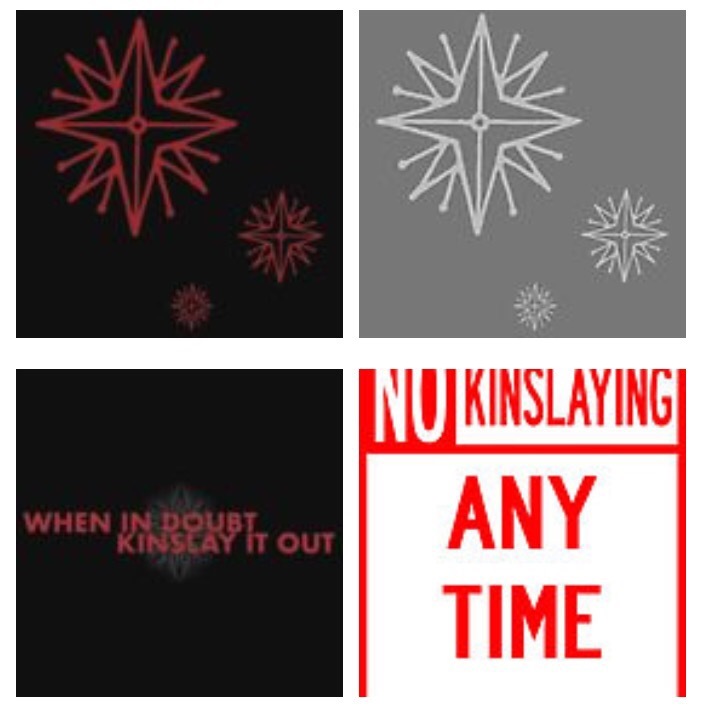 I am pretty happy about the graphic design but mostly I’m feeling really good about “when in doubt kinslay it out”. 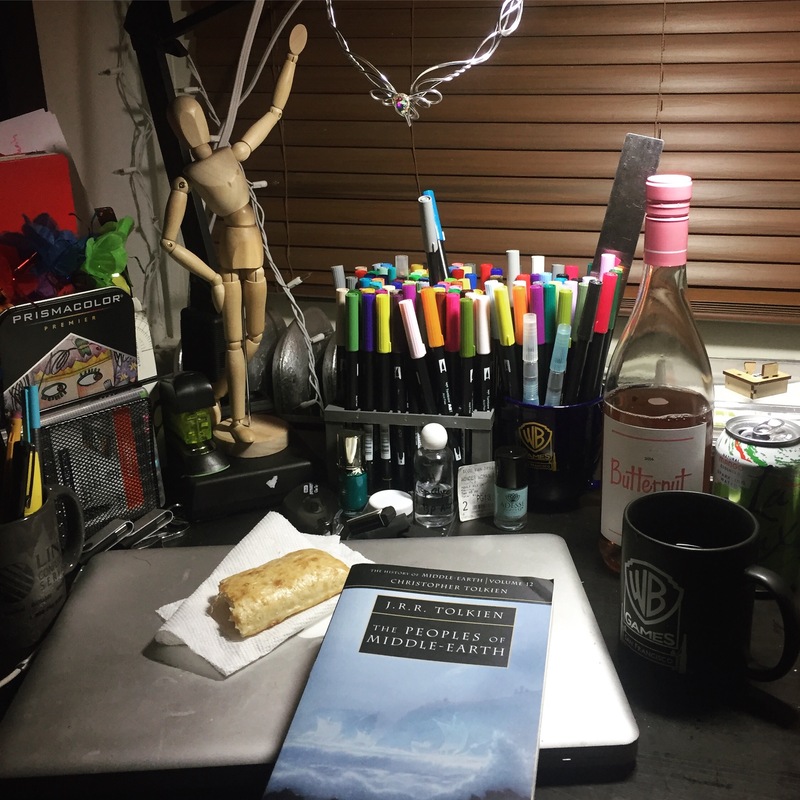 Reading The History of Middle Earth, vol 12: The Peoples of Middle Earth, drinking rosé from a coffee cup, eating a hot pocket… as one does. It’s funny; I don’t often have a lot of difficulty writing volumes and volumes, but I’ve had a good deal of somewhat-unreasonable stress surrounding starting this whole thing. But then I thought that I am probably trying to plan too much, and I should just jump in and start. 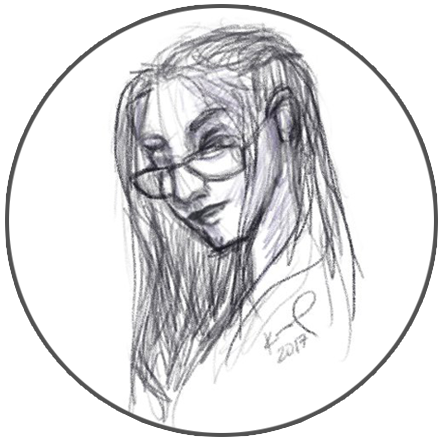 Intro time: My name is Kristin and my life isn’t incredibly remarkable; I live in San Francisco, and work in the game industry — I herd nerds, whip schedules into shape and keep the office from burning to the ground. I may or may not be a pile of chicken nuggets in a trench-coat. I am definitely an actual Nazgûl and probably a sorcerer. I am an artist and a writer as well, and something about which I am very knowledgable and extremely passionate about is the writing and world-building of JRR Tolkien. I am in the planning stages of a project involving that, which you’ll find here eventually. I’m still working the kinks out of the project, but will be updating as I go. Might as well talk about the process, yeah? I also do a great deal of thinking and writing about art, internet culture and self-image, which I’ll go into more later as well. Things will be under construction around here for a while!